NEWNAN, Ga. – It’s no secret that the Jemseks are the first family of golf in Chicago. In fact, it’s been that way for a long time. A cheery welcome greets golfers when they arrive at Summer Grove. 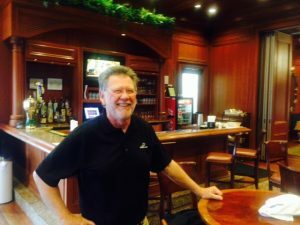 It all started when Joe Jemsek purchased St. Andrews, in West Chicago in the 1930s. He later bought Cog Hill, in Lemont, and expanded it from 36 to its present 72 holes. The Jemseks are now three generations deep in Chicago golf. For years the family operated Glenwoodie, in Glenwood, and – in addition to Cog Hill and St. Andrews – the Jemseks also operate Pine Meadow, in Mundelein. But the family’s golf involvement isn’t limited to the Chicago area. Though it’s not widely known, the Jemseks also have a course in Georgia – and it’s one that in some ways has more family involvement than the Chicago layouts. Frank, Joe’s son, and his wife Pat considered building a course in Florida as a possible retirement retreat in the late 1990s. Negotiations on a location there fell through, but another opportunity – in the Atlanta, Ga., suburb of Newnan – materialized on land near the home of long-time family friend Rocky Roquemore, a Georgia course architect. Another Joe Jemsek, the original Joe’s grandfather and Frank’s son, took on this project. He was playing on the golf team at Lynn University while working towards a business degree and the project, now known as Summer Grove Golf Club, provided a chance to get involved in course design. Joining forces with Jeff Burton, Roquemore’s partner, Jemsek lived on and off the construction site for about 18 months. The affable John Mahle has been checking in golfers at Summer Grove since the course opened in 1999. Summer Grove opened in November of 1999 with a par-72 course that has five tee placements and measures 6,954 yards from the tips. The signature holes play around a big lake and the most fun holes are four short par-4s. From the tournament tees the course has a 73.4 rating and 132 slope. “My first design was a pretty fun experience,’’ said Jemsek, who also worked as an intern for Joe Lee, designer of Cog Hill’s Dubsdread course, when he was in college. Summer Grove was immediately well received. 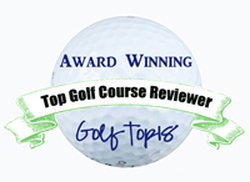 Golf Digest magazine named it among its Top Ten Best New Affordable Courses in 2000. 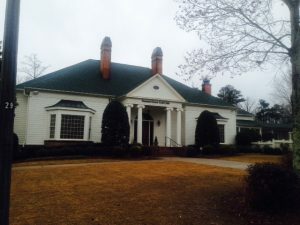 After Jemsek finished his work his sister Katherine moved to Newnan and was Summer Grove’s general manager for 18 months. 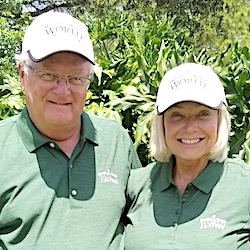 She’s now the president at Cog Hill and Joe has his own course architecture business, Jemsek Golf Services, which operates out of a Chicago office. 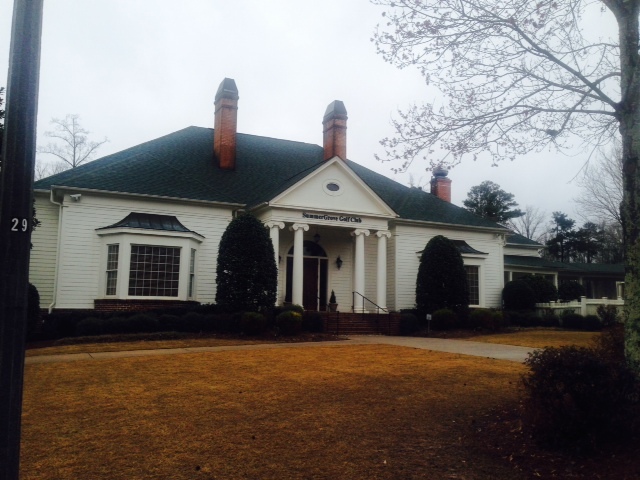 Summer Grove’s clubhouse blends in well with an upscale golf community. Only Summer Grove carries Joe’s name as a designer but he’s worked on courses worldwide — 90 of them in 29 countries. He spent seven years working with the famed Dye family of designers – father Pete and wife Alice in Indiana, Perry in Denver and P.C. in Ohio – before opting to go off on his own. He’s specialized in renovations, generally doing about two a year. 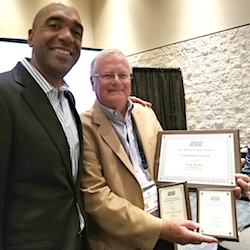 Among the best known are Windermere in Florida and Glen Lake in Alabama. He also has done some work in course management. Presently Jemsek is doing a renovation of Caujaral Club in Colombia and recently broke ground on a new practice range at a 36-hole facility in suburban New Orleans. The elevated tee at No. 18 sets up a scenic finishing hole. The work at Summer Grove, though, isn’t done. The Jemseks sold the upscale public layout to the Canongate group, which operates some nearby private courses, in August, 2005 and then reacquired the layout in February, 2013. 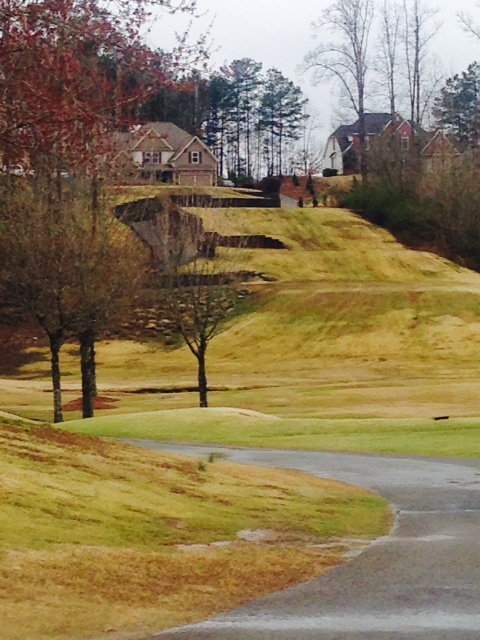 Joe and Katherine were on the site for three months in the spring of 2013 to “re-launch’’ the golf course. It’s now a semi-public facility with about 100 members. 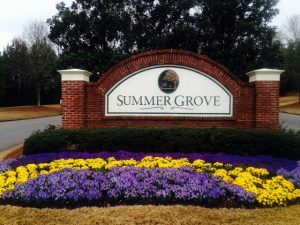 Summer Grove has a much different look than it did when the Jemseks first took over the 250-acre property and built a course that wanders through native dogwoods and pine trees, preserved wetlands and wildlife habitats. There’s now 2,350 homes in the general area of Summer Grove.